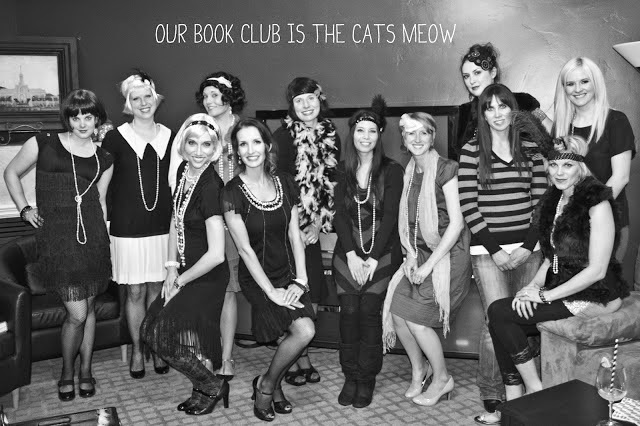 Our book club loves to dress up! (I will also love it soon, I'm sure.) I remember not wanting to go places as a young girl because I did not "have anything to wear." I am now 34 and still have an occasional pile of discarded outfits on my bed to put away. I am so much more comfortable in my own skin now, that I don't stress too much, unless someone asks me to show up in a costume. I don't consider myself to have a lot of "costume like" clothes. Most of the time when we dress up for book club, I attempt to try. This past book club meeting I felt slightly awkward for being the only person NOT dressed up, I didn't even try...lame. I didn't think I really had anything to wear. After observing all the outfits, I realized I actually had a lot of options sitting at home in my closet. You will find me very easily in the pictures. If you are looking for inspiration from books for your costume. 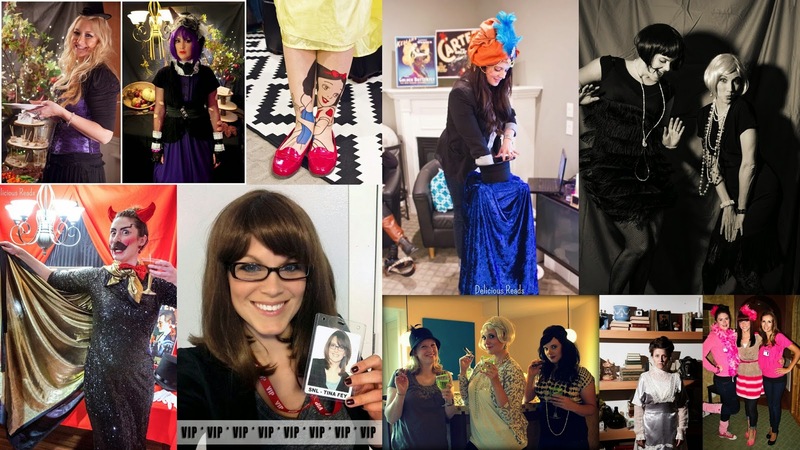 Check out what these ladies put together from their closets. The magic is in creating a hairpiece of some sort. Check out these links to see more details. 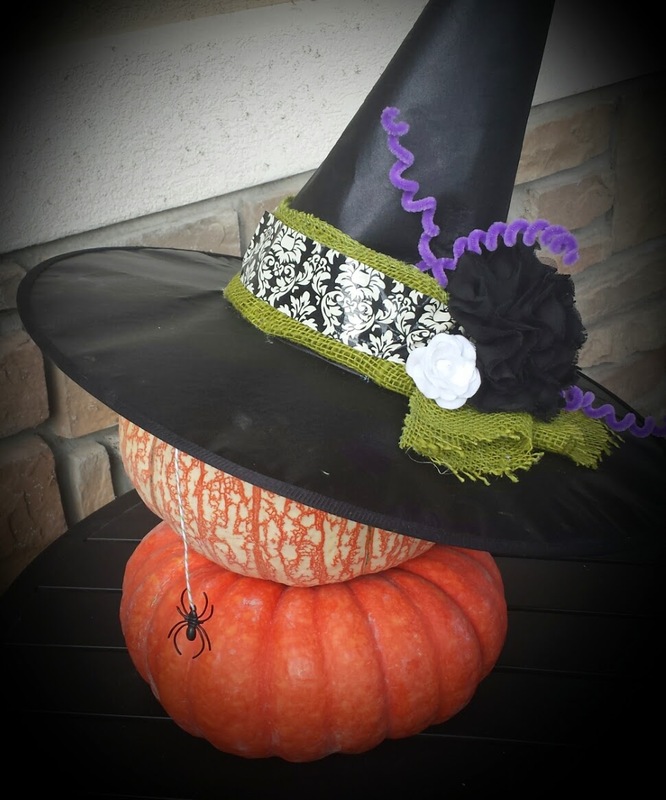 This weekend, I am planning to attend a Halloween Witches Tea at the Grand America. Although it says costumes optional, I have a feeling that if I show up without a hat I will feel a little blah humbug. So I jumped on a broomstick and put a costume together. 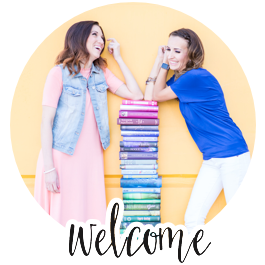 I have learned by observing the creative ladies at book club that there are so many ways to glitz up the things that are already in your closet. 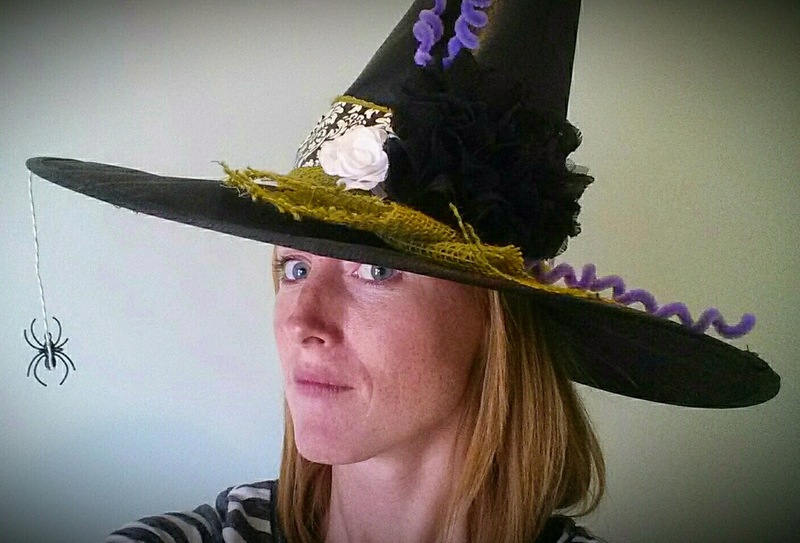 I did have to buy a witches hat for $3. 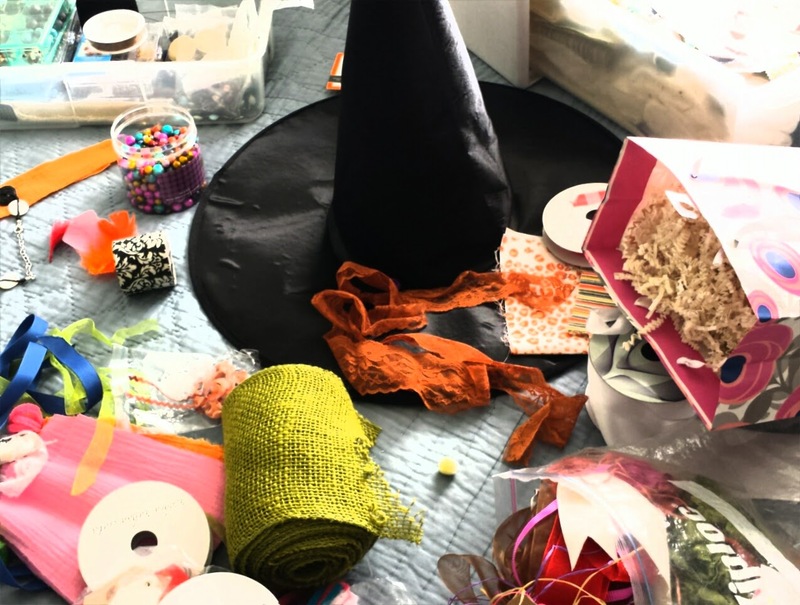 At first I thought I was going to have to work hard and get out all my craft supplies to make it look a little more festive. Then I realized that there could be an easy formula to put this together. 1. Pick a favorite ribbon or ribbons to layer and wrap around the cone. 2. Decide on a focal point - this could be a bird, a spider, a pumpkin, a flower, or a bat. 4. Assemble. Hot glue is your friend. Voila!! I still made a mess pulling everything out...but the assembly was quick and easy.